This silk is another designer one from New York City, though I got my piece from Emma One Sock. 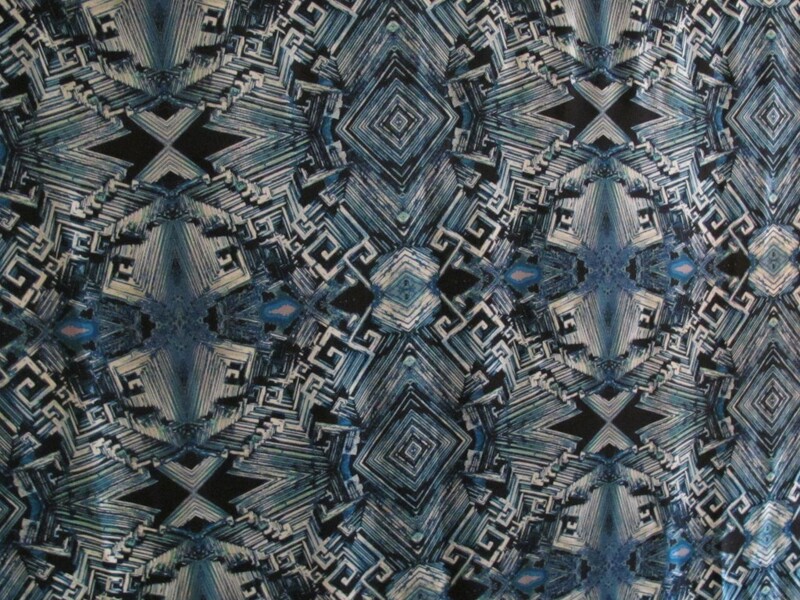 I don’t know which designer used this print, but I can’t help but think that Thakoon used this one. Just a hunch, based on his fabric choices. 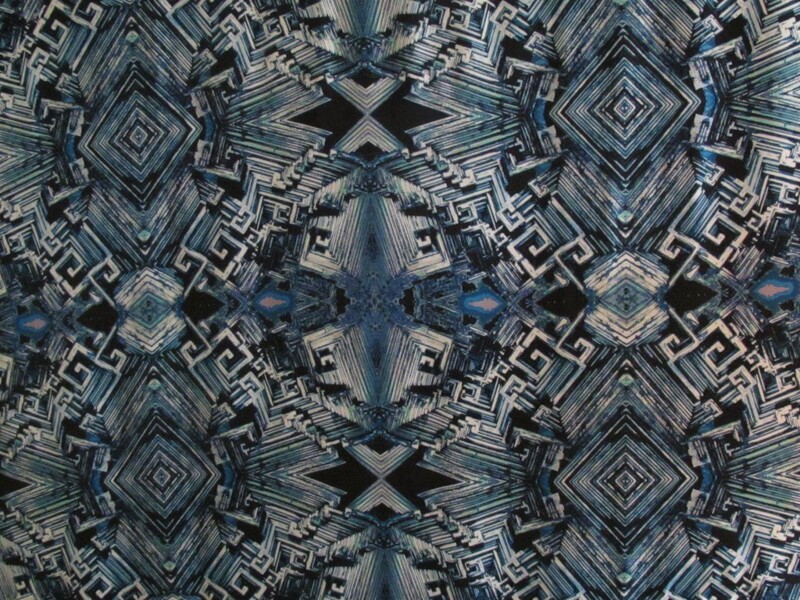 This fabric is unusual. I call it a double silk charmeuse. It is quite substantial, not a weight and density that you see often with the regular charmeuses. I don’t know if there is such a category as 4-ply charmeuse but this fabric would be it if there is. The other thing, charmeuse has a shiny side and a matte side. Usually the print’s right side is on the shiny side, but in this case it is on the matte. The colour saturation this has resulted in is superb. Here’s another fabric…you can do anything…dresses, skirts, tops, caftan or robe. And everything will feel incredible against bare skin, with the shiny side of the fabric being the inside. 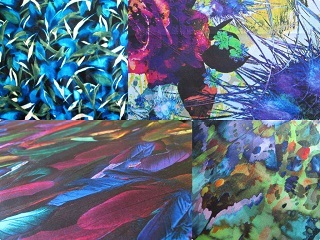 There’s a lot of inspiration around for the digital prints. 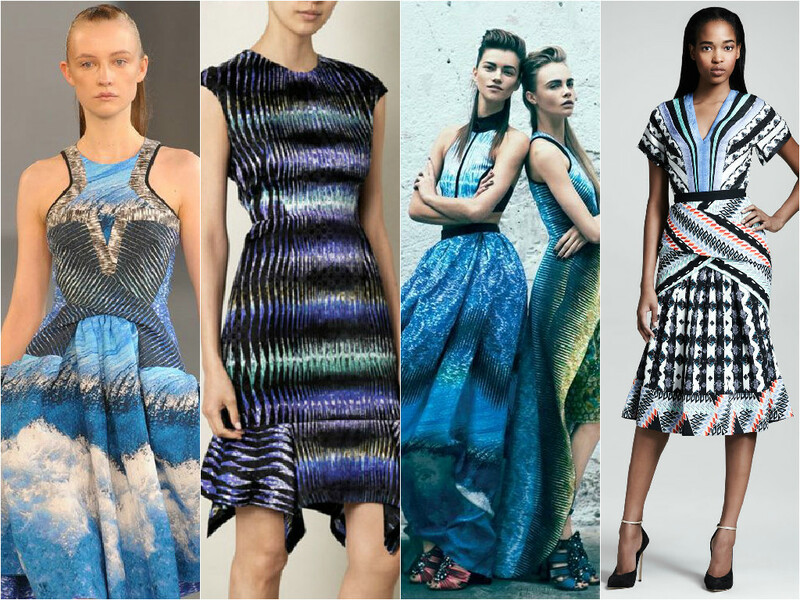 Peter Pilotto made his name for the use of them, as in these dresses. 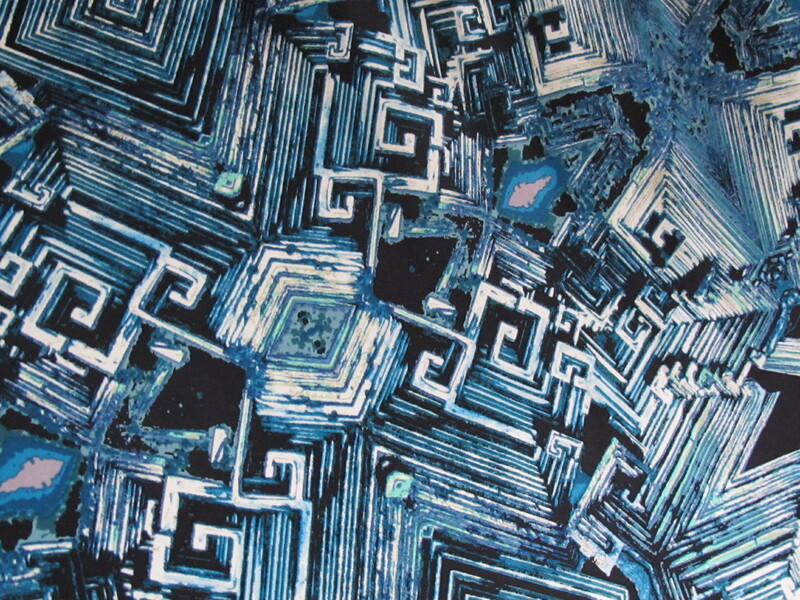 This silk is 140cm wide and is 2 metres in length. 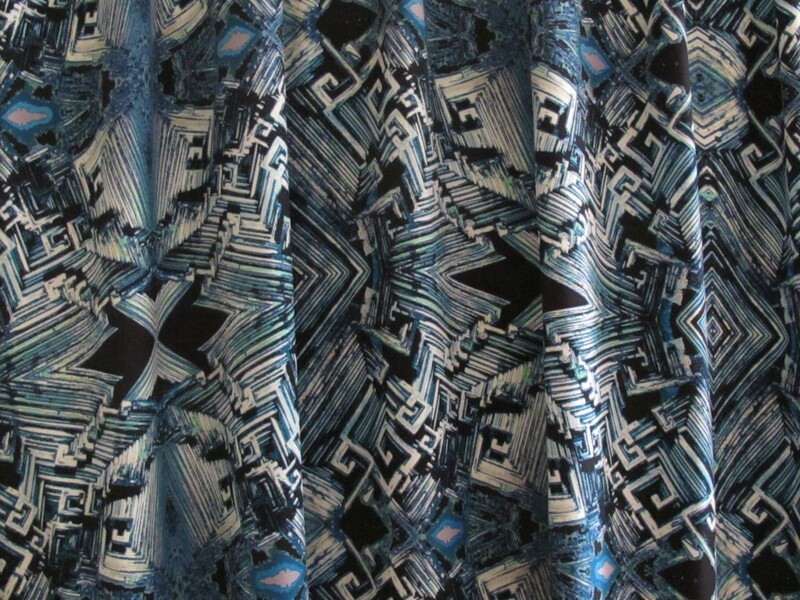 This fabric was higher priced, over $40 US dollars per yard. I’ll drop some $$ on this just because I want to keep the prices down a bit, and ask $35 a metre/$70 for the piece. (Doesn’t take into account the exchange rate and post cost).